Pontiac Silverdome in Pontiac, MI: The pre-match ceremony before a group-stage match in the 1994 World Cup between the United States and Switzerland. During the months before a world cup, sports writers often build anticipation for the quadrennial event with memories from world cups past. This summer marks the 20th anniversary of the 1994 World Cup in which the U.S., as hosts, shocked much of the world by advancing past the group stage. Siegel’s Slate article is certainly worth a read, but he seems to commit an error of anachronistic analysis: he harshly judges the ’94 faux-denim uniforms through a contemporary lens of soccer fashion almost entirely absent any historical context. It could be that I am misremembering given that I was only about 8 years old at the time and that it has been 20 years, or it could be that my fashion sense at age 8 wasn’t especially refined, but I distinctly remember those uniforms being awesome. 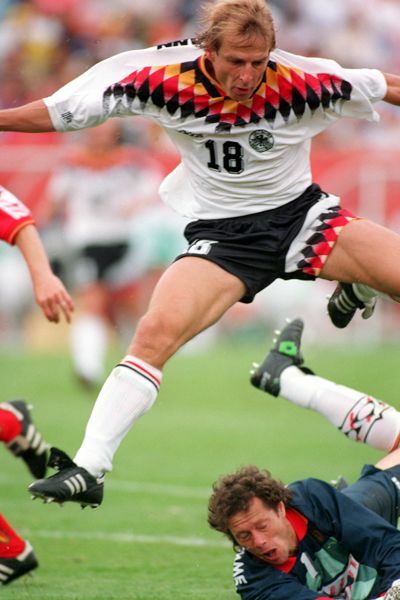 Siegel notes, “The jersey featured a denim print, oddly shaped floating white stars, and bright red trim, and it was made of 100 percent polyester.” The 1990s were something of an experimental period in soccer fashion full of strange geometry and bright colors. And, polyester uniforms were the norm at the time—moisture-wicking fabrics like Nike Dri-FIT and Adidas Climalite didn’t yet exist. 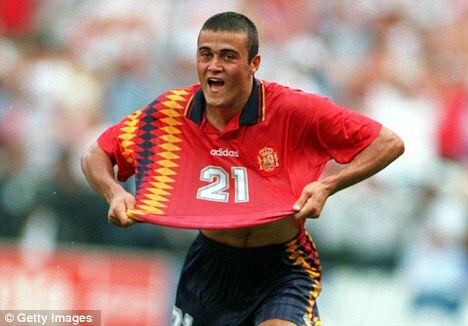 The point is that those U.S. jerseys weren’t especially “out there” in 1994. The uniforms of Germany, Nigeria, and Spain (among many others) are similarly “ugly” through a contemporary lens. The U.S. jerseys were awesome in 1994 precisely because they were the essence of 1990s soccer fashion, and they remain awesome for that very reason. 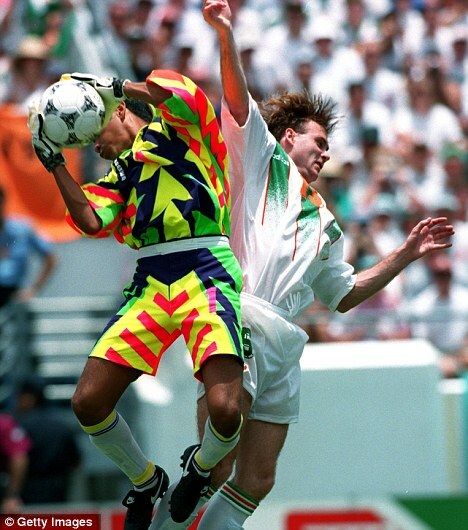 I should disclose that I am especially sensitive to criticism of the ‘94 U.S. World Cup uniform. The stonewashed faux-denim shirt clad with white stars was the first replica jersey that I owned. My grandparents bought me the kit for my 8th birthday. As excited as I was to receive the gift, I couldn’t hide my disappointment that they had bought the faux-denim shorts that were supposed to go with the red-and-white-striped away shirt rather than the star-clad home shirt; tears strewn down my face as I realized I wouldn’t be wearing the proper full kit to my two soccer practices that week. To this day, that jersey remains one my most prized possessions, and it now fits my adult physique perfectly, which says a lot about the baggy design of jerseys in the 1990s and the surprising dearth of size options for smaller kids. It is my only item of clothing that anyone has offered to purchase off my back for cash (which has happened on multiple occasions). Say what you want about the 1994 U.S. World Cup team, just don’t call their jerseys ugly.